Online marketing is one of the fastest changing industries around. Technology has paved the way for Real Estate agents to connect with their audience and expand their network. Social Media is just one of the many tools that professionals can use to get information out to their clients in mass amounts within minutes. It is important to keep your online presence alive and up to date to keep up with the new generations of potential clients looking for a new home in your local area. Top Real Estate professionals grow their network using apps and mobile marketing to gain a competitive edge in the market. Communicating with your clients effectively is a great way to start a potential business relationship. Take a look at our previous post, What You Need To Be A Great Communicator for tips on how to perfect your interpersonal skills. Easily one of the best modeling online applications around. Think Google Earth, but for touring property. Matterport is a 3D representation of a real-world location. With Matterport’s 3D camera you can create a virtual landscape that potential clients can explore before they even set foot on the property. The virtual space can be seen online or on a supported mobile browser. A virtual reality box that helps clients wonder the halls of a potential home from their comfort of their desk. I’ve used Matterport to see what the property’s potential can be. I can see visualize myself living there by wondering the halls of the 3D model, slowly planning in my head how I can style it to fit my needs. This can help clients gain a better picture of the property and will increase their chance of reaching out to check it out in person. Mailing documents to clients is a thing of the past. HelloSign is the most powerful application for your business agreements. It outperforms DocuSign in ease of use, ease of setup, and quality of support. HelloSign helps clients electronically sign documents within minutes. When the document is ready to go, everyone involved gets copy. It uses SSL encryption during file transit to keep sensitive information safe. Receive status notifications when everyone has signed and when the document is good to go so you are always in the loop. Try it for free at HelloSign. Skitch is a free application that allows you to mark and edit photos before sending them out. See a problem with a property? Snap a photo, circle or draw arrows on problem areas, and send it over to the contractor for faster communication. Don’t wait around for someone to come and see the issue. Report problems to your agency or external contractors immediately for faster project completion. Show clients exciting features about the property with just the click of a button. Unique fountain in the backyard? Beautiful sunroom with window seat? Take a picture and send it to all clients to ensure they don’t miss out on anything about their future home. Download the app at Skitch. The mighty text message is often overlooked as a marketing tool. It is a quick and easy way to immediately get in touch with someone. Mobile devices are here to stay and their quality will only keep improving. Text messages help real estate agents send mass messages to everyone in their network within minutes. Keep them updated about new listings, price changes, or discounts. Clients are more likely to buy or rent if you keep them up to date in the properties they are interested in. If units drop in price, shoot them a quick message so they know to act immediately to take advantage of the great discounted price. These days, top producing Real Estate agents have powerful websites that significantly increase their business growth. 92% of home buyers use the internet to browse through dozens of listings until they find one that fits their needs. Most potential clients will check online first to learn more about the home-buying process. Building a website that answers basic questions for clients can help make the process faster for you and them. Create website content that showcases the property and details the surrounding area. Add pictures or walk-through videos to bring the property to life. Mention any local restaurants or popular bars around the neighborhood. Clients want to know about the general vicinity to help them decide if that’s the place they want to call home. Add links to your social media accounts so they can easily reach out for questions or consultations. Encourage them to share it with their friends. Make a website that indirectly makes clients market for you. 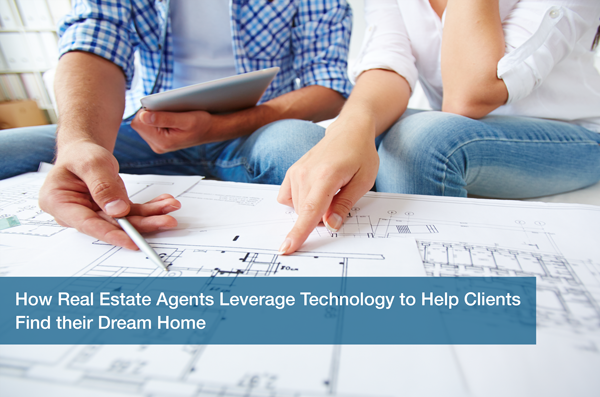 Technology helps Real Estate professionals connect with clients. Applications and mobile marketing help professionals build lasting relationships while also making it easier for clients to find their dream home. Gain a competitive edge in the market by ensuring that your social media drives traffic to your website and that your content helps retain that traffic. Encourage your clients to share their experiences with friends and family. Clients are more likely to come to you if they hear that their friends had a positive experience with you – just read some of the testimonials from some of our own real estate agents that have worked with us. Make technology work for you while you sit back and watch your business grow. Not sure where to start? Call us today for our design and development website support! Fill out our form to get a free IT Analysis. Get Started!